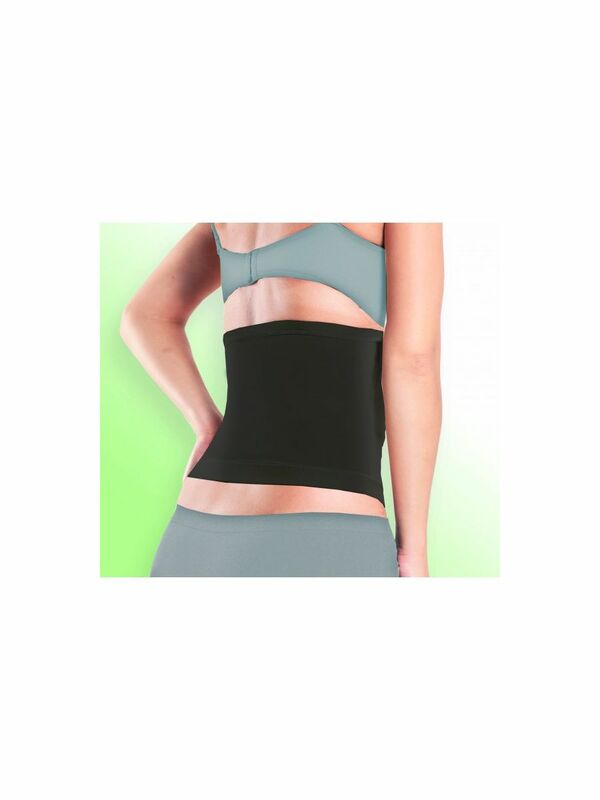 Derma Wear Tummy reducer is a compression garment supporting weak abdomen muscle and quickly reduces your measurement. Instantly allows you to fit into a dress up to 3 sizes smaller dress. External pressure improves the functioning of the lymph and venous circulation thus reducing and minimising the accumulation of inter-cellular extraneous material & excess fat. This helps improve muscle tone and gain strenth. HOW MUCH COMPRESSION IT GIVES? WILL DERMAWEAR SLOW DOWN THE BLOOD CIRCULATION? Dermawear range of slimming garments does not slow down or affect the arterial (coming from Heart) blood flow. On the other hand Dermawear slimming garments assists/ increases venous (going to Heart) blood flow by its compression on micro channels lying under the skin. This action on the part of Dermawear slimming garments helps reduce excess fat, inter cellular extraneous material etc and thus you lose inches at your waist, hips, thighs etc. WHAT SIZE SHOULD I WEAR? The tighter the compression garments the better effect it will give. It is however important to check the size charts so that the garment can give scientifically correct compression for enhanced effect. HOW MUCH TIME DO I NEED TO WEAR FOR THE GARMENT? Dermawear slimming garments have to be worn for 5-8 hours during the day, it is highly recommended that you use it while you are awake & not during sleeping hours. You can wear Dermawear slimming garments during meals. But remember that it will suppress your hunger a little bit. Hence, do not overeat or else it will make you feel uncomfortable during or after meals. HOW MUCH TIME WILL IT TAKE TO LOOSE WEIGHT? The amount of time taken to reduce varies from person to person depending on the metabolism, body built up & other factors. If worn regularly, it might take around 6-8 weeks. However, please remember that you lose Inches when your garment feels loose or less tightening and this is the time to change over to lower size to ensure continuous slimming. CAN COMPRESSION GARMENT BE WORN AFTER DELIVERY? Yes, you can use Dermawear slimming garments 6-8 weeks after normal and 25-30 weeks after caesarean delivery. Initially you may have to go for one size larger if you find the compression too firm/ uncomfortable to use & once this size becomes loose then you may switch over to smaller size to ensure progressive reduction in your waist measurement. CAN I WEAR DERMAWEAR WHILE SLEEPING? Sleeping is a state where the muscles of the body are at ease & relaxed. Wearing compression garment while sleeping doesn’t allow the muscles of the body to relax hence you might get a disturbed sleep & you may not even feel fresh after you wake up. Congratulations! This is a sign that your size has reduced and it’s time to switch to a smaller size garment to continue getting progressive reduction.